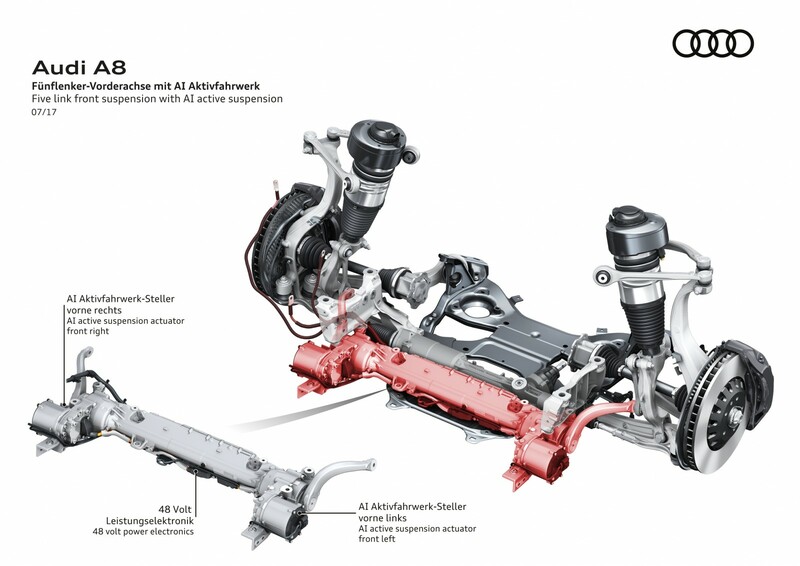 In honour of the upcoming release of Audi’s redesigned flagship, the fourth-generation A8, we put the spotlight on an interesting piece of onboard technology: a fully active, electromechanical suspension. 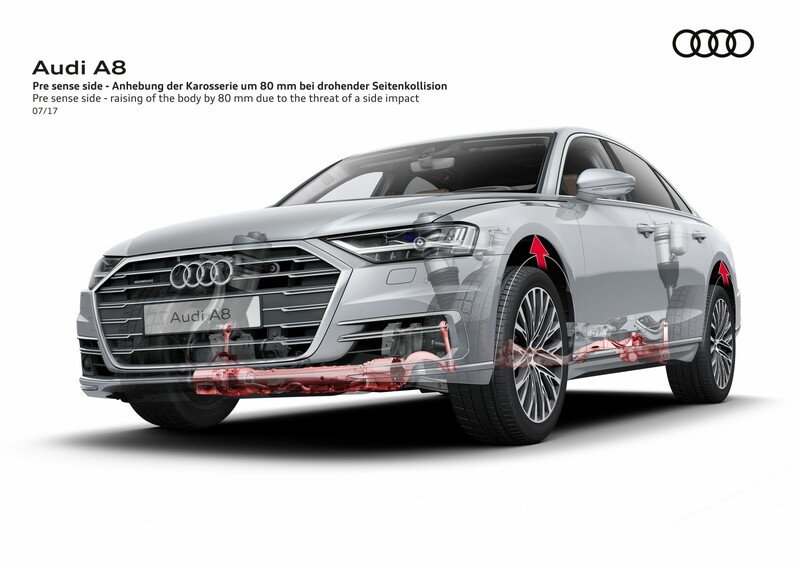 There are other vehicles that utilize a similar concept, continuously altering dampening settings according to road conditions, but the electromechanical setup in the Audi is actually quite ingenious in design. Powered by the main electrical system, it enables the occupants to be in constant comfort whether the executive sedan is travelling over a pothole-ridden road, or carving high-speed corners. An electric motor with built-in gears is mounted to each individual wheel. A camera mounted on the front of the car scans the driving surface ahead and pre-emptively adjusts the suspension settings so that by the time the tires roll over say, a small rock, everything is already calibrated to relay minimal noise, vibration and harshness to the cabin. Aside from absorbing vibration over bumps, rolling movements normally induced by excessive g-forces, as well as changes in pitch from hard braking and acceleration, are mitigated. The active hardware also serves to increase safety in a passive manner. Sensors detect risks of collision from any direction 360 degrees around the vehicle. For example, if a side impact occurring at speeds greater than 25 km/h is unavoidable, actuators raise the suspension, and in turn the body, on the affected side up to 80 millimetres within half a second. This causes the stronger areas such as the side sills and floor structure to absorb the brunt of the oncoming forces. Audi says this results in a 50 per cent improvement in load reduction to the passenger compartment. Consumers can get a closer look at the technology when the 2018 A8 is launched in North America later in the year.